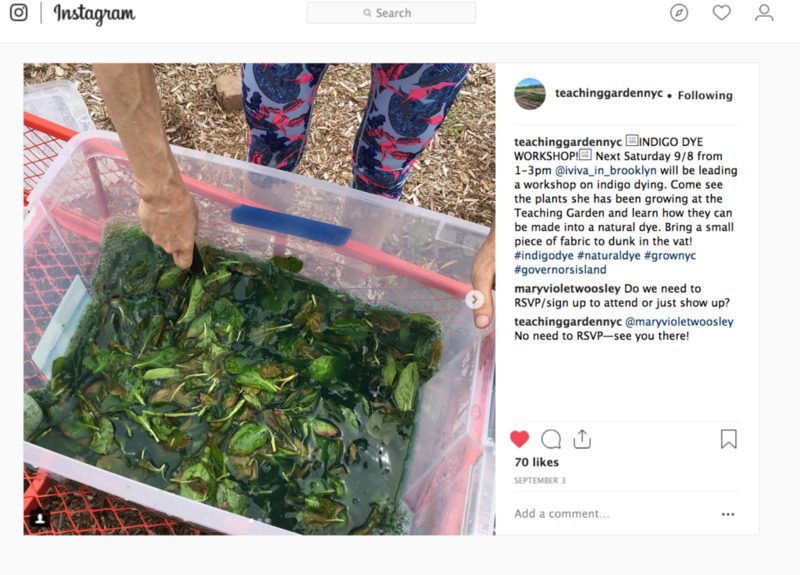 I spent part of July and much of August on GrowNYC’s Governors Island Teaching Garden, experimenting with and perfecting dye-making and pigment extraction methods from fresh indigo leaves. With no prior experience doing this, and never having studied with someone, I relied on dyeing books dating from the 1960s–the 2000s, blogs and online forums. This is an image of me about to remove leaves from a fermented vat. 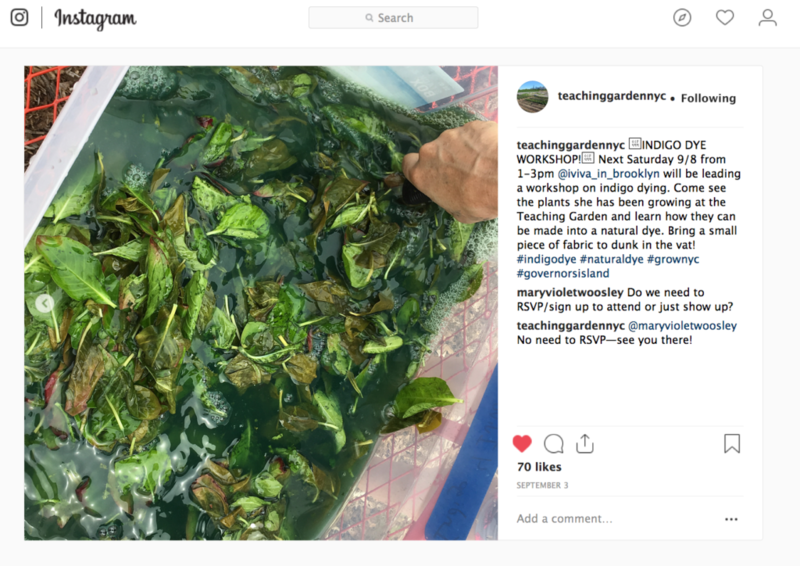 This is a closeup of the fermented leaves before I remove them and add slaked lime and agitate, then wait for pigment to settle and dry.